Technological line was used for the production of thin paper of high quality. 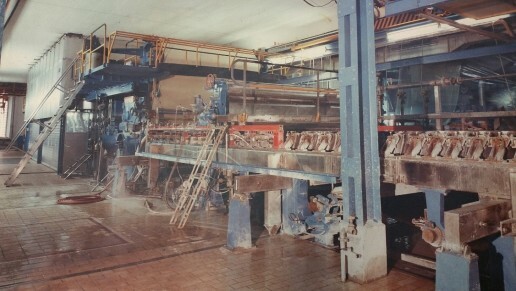 The machine produced cigarette paper, paper filters, to insulate electrical cables, printing on the Koran or the Bible. The paper machine produces, cigarette paper, filter paper and specialty papers (highly filled). Grammage 15-35 gsm. Basis weight 25 gsm .. Deckle at the reels -2500mm. Working speed – 350 m / min. Design speed – 390m.min. Machine often modernization / 1984, 89, 96. 2002, 2006 /. The drive on the right side of the head box.